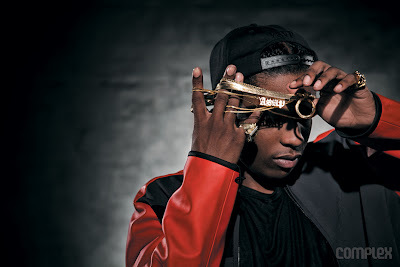 Within less than a week (January 15) - A$AP Rocky will release his first studio album, even though it leaked in 2012. A$AP has teamed up with British singer - Florence Welch (of Florence and the Machine) for a song on the album 'I Come Apart'. Rocky also enlists - Santigold, Drake, Kendrick Lamar, 2 Chainz Schoolboy Q, Joey Bada$$ and more for the new album. I look forward to seeing how much units A$AP Rocky pushes after a week. A$AP Rocky joins Rihanna on the North American Leg of her 'Diamonds' tour from March, 2013.